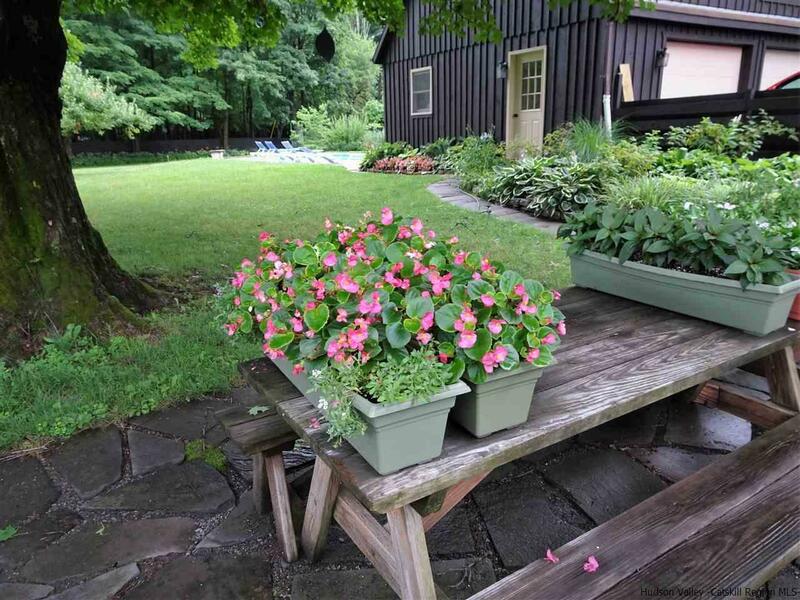 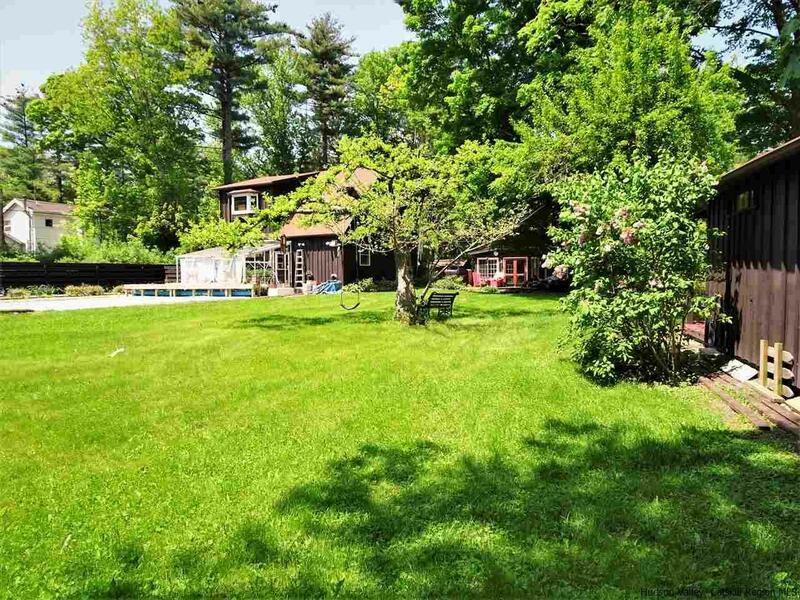 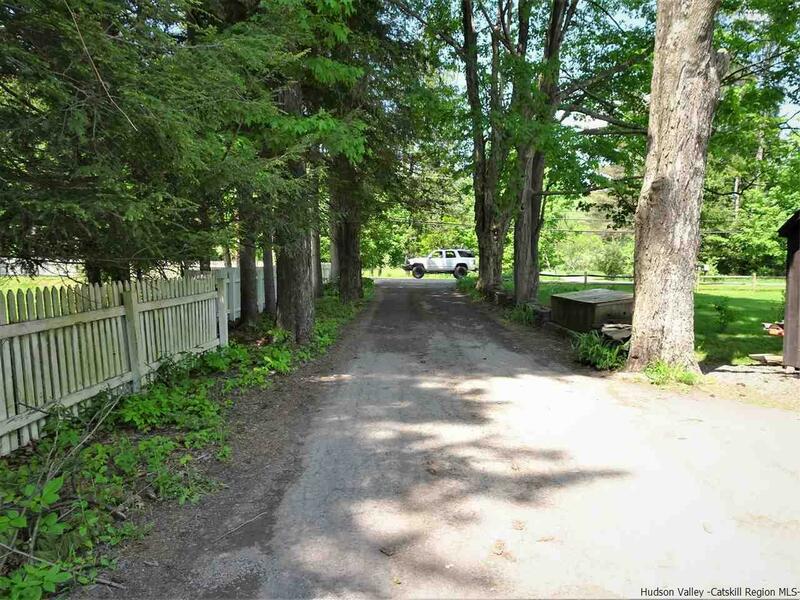 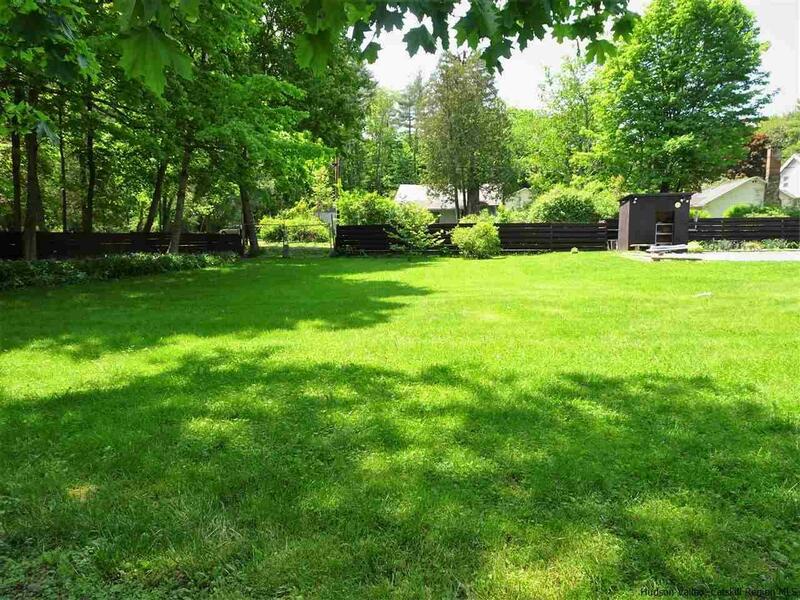 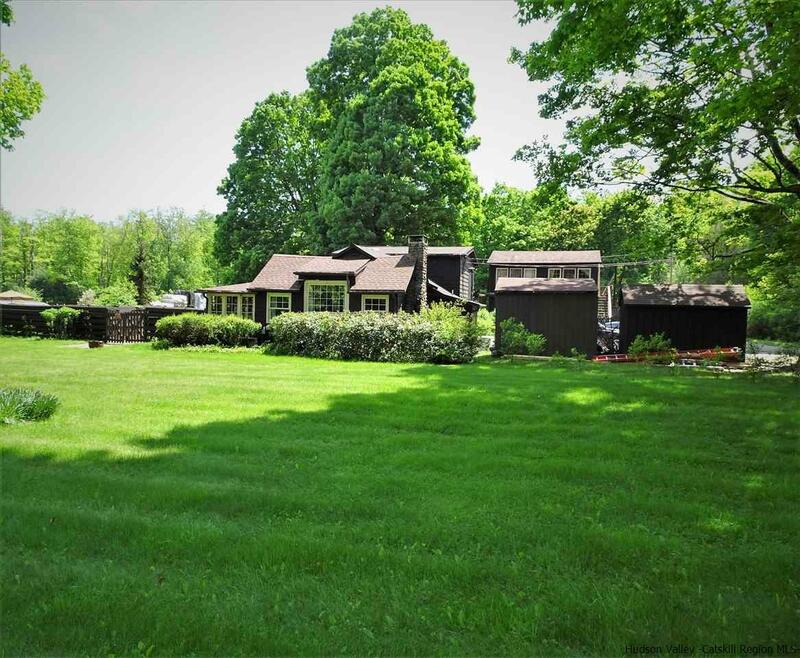 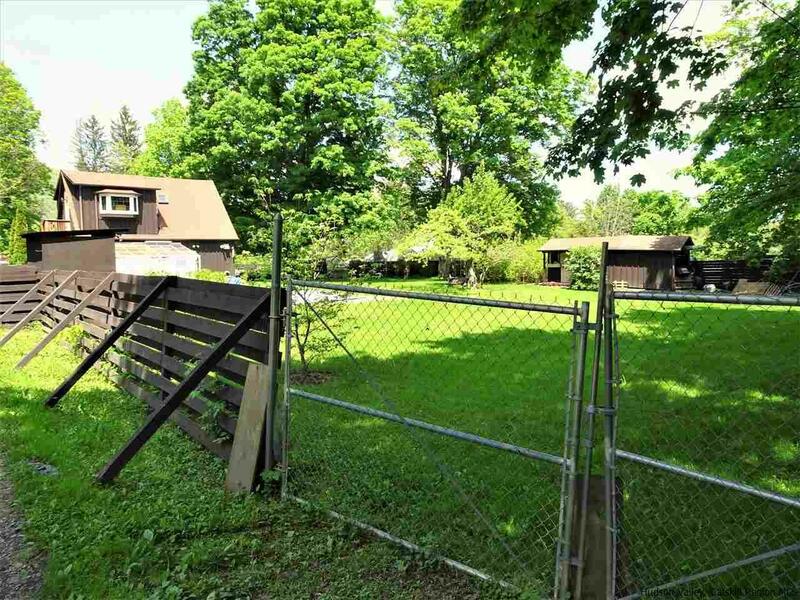 What a wonderful little "Woodstock Estate" this is within walking distance of the Village! 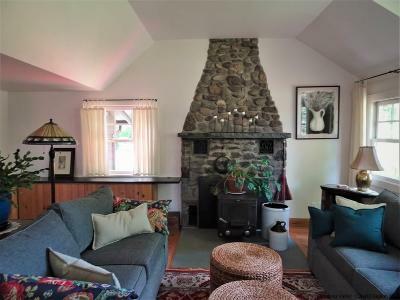 The original cottage has high ceilings, a floor to ceiling cobblestone fireplace with a wood stove insert and gleaming wood floors. Beautiful woodwork throughout, beamed ceilings and numerous skylights add color and light to this sweet home. 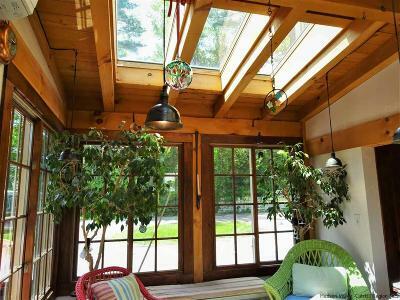 Additions over the years were added with post and beam construction. 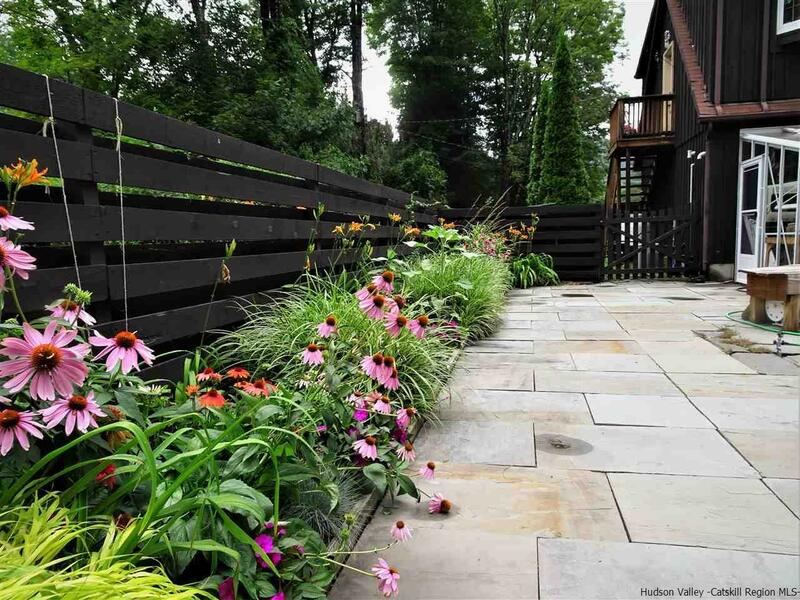 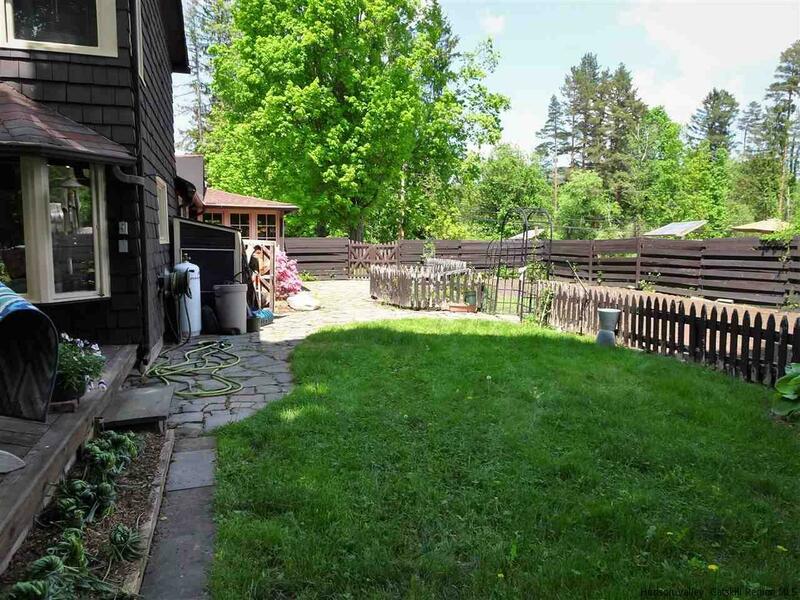 The fully fenced level yard enjoys an in-ground pool, a green house, a finished exercise building and beautiful garden areas. 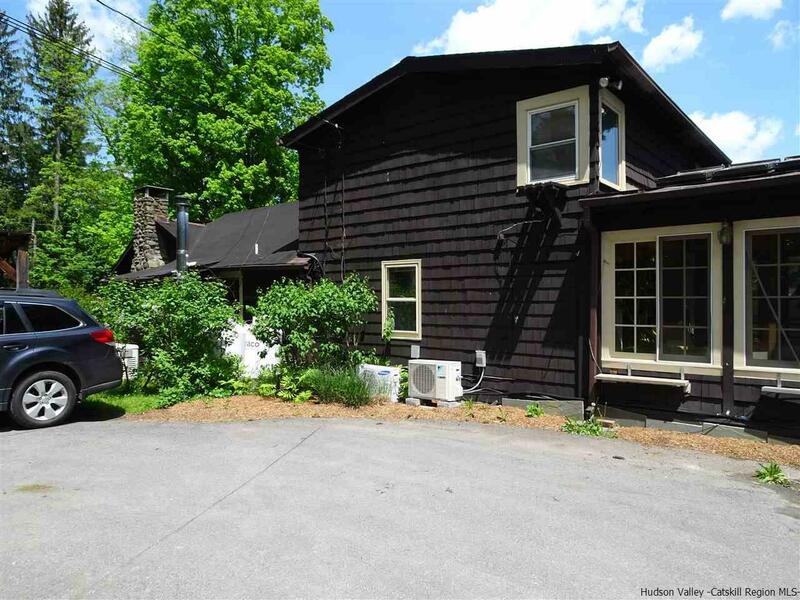 The two car garage has a mother in-law unit above it. 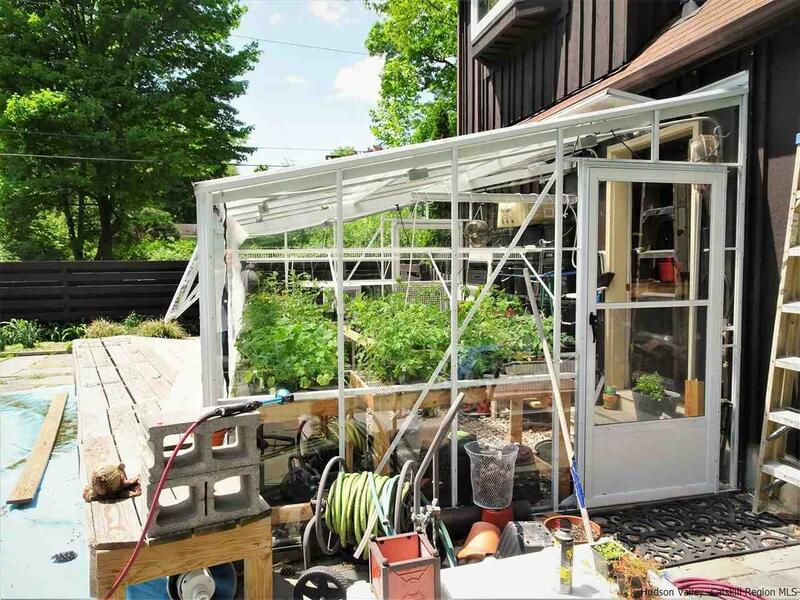 Additional sheds provide storage for lawn and garden equipment. Spectacular mountain views can be seen from the front yard. 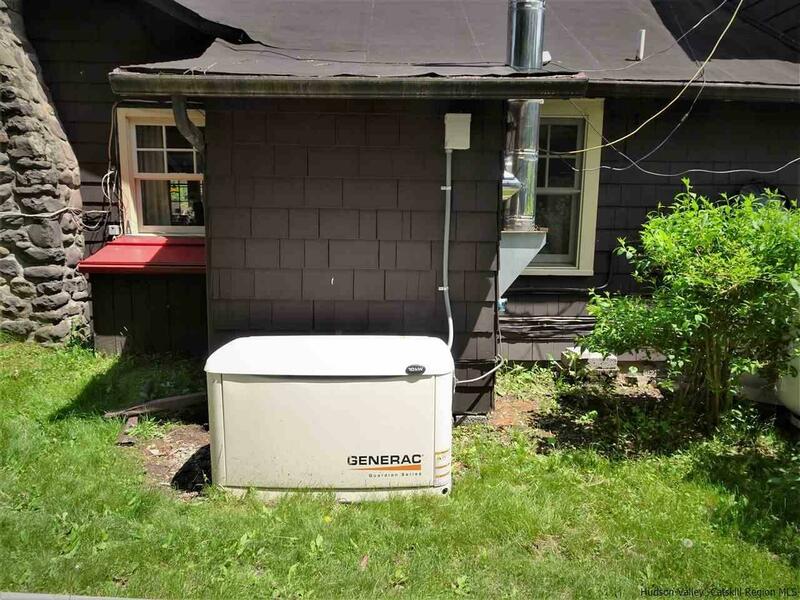 A whole house Propane generator provides power in the event of an outage. 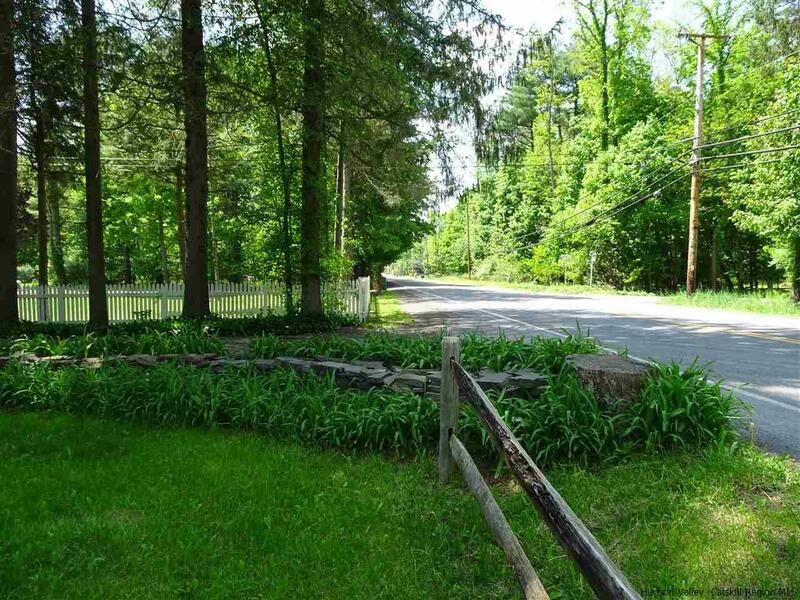 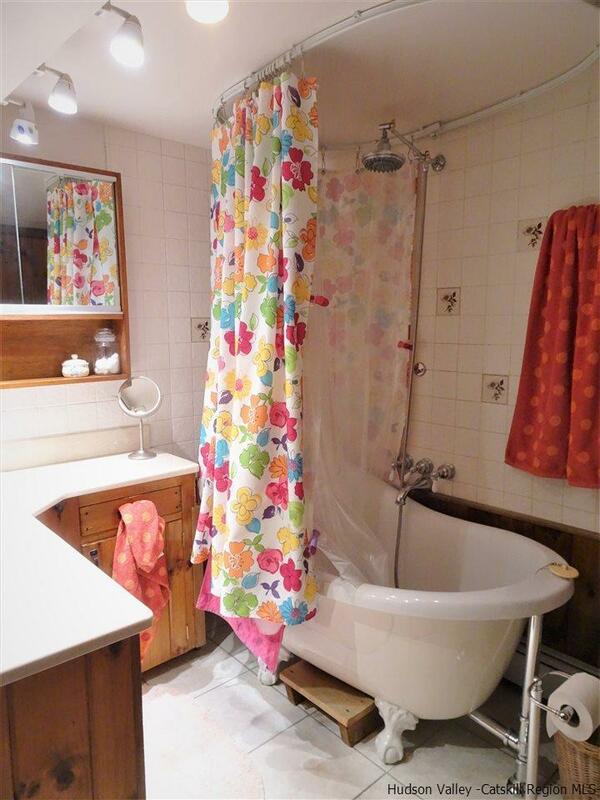 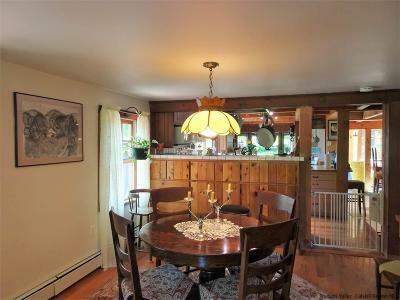 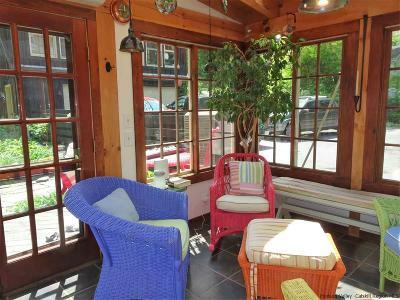 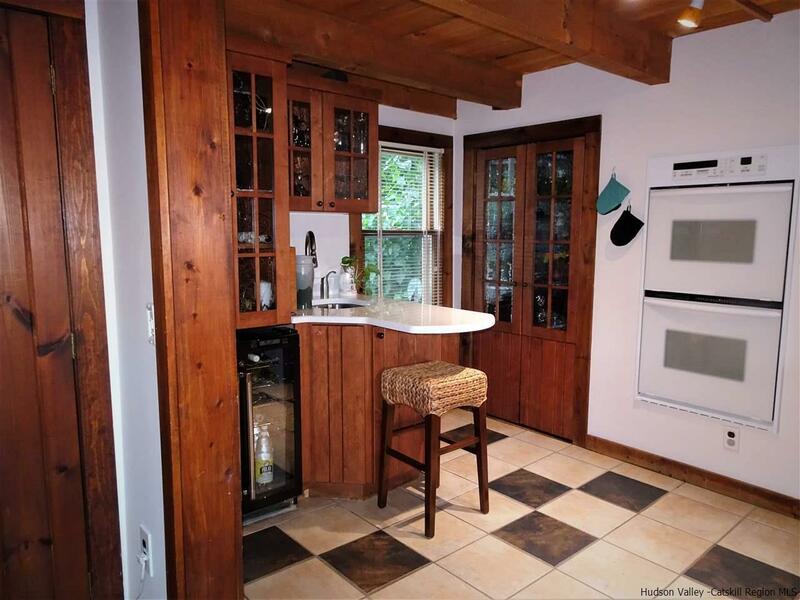 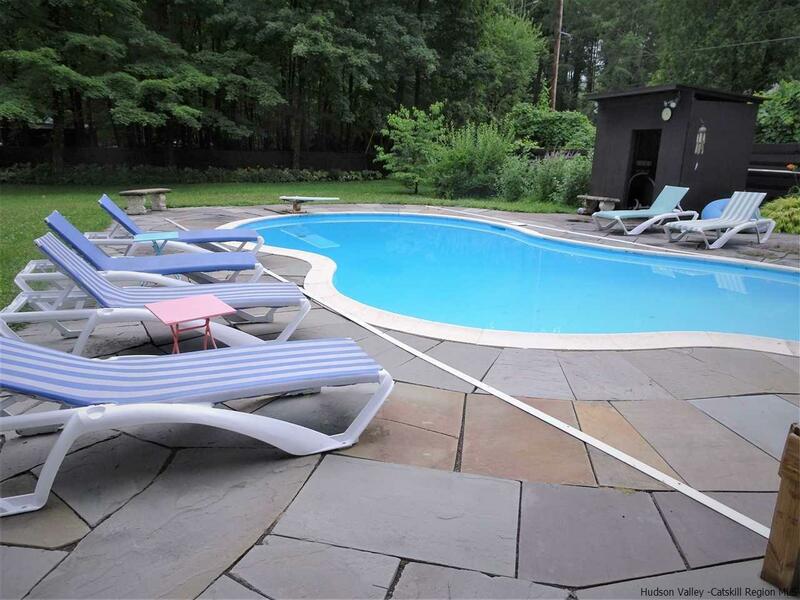 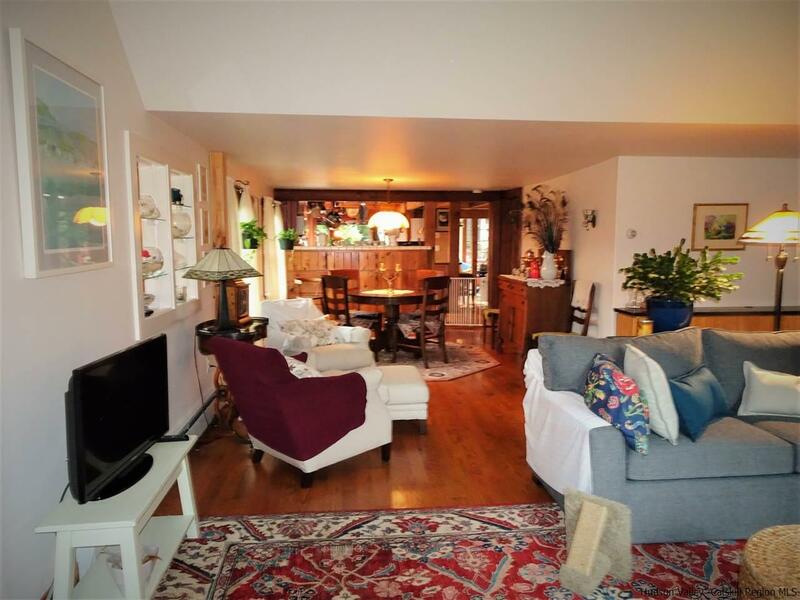 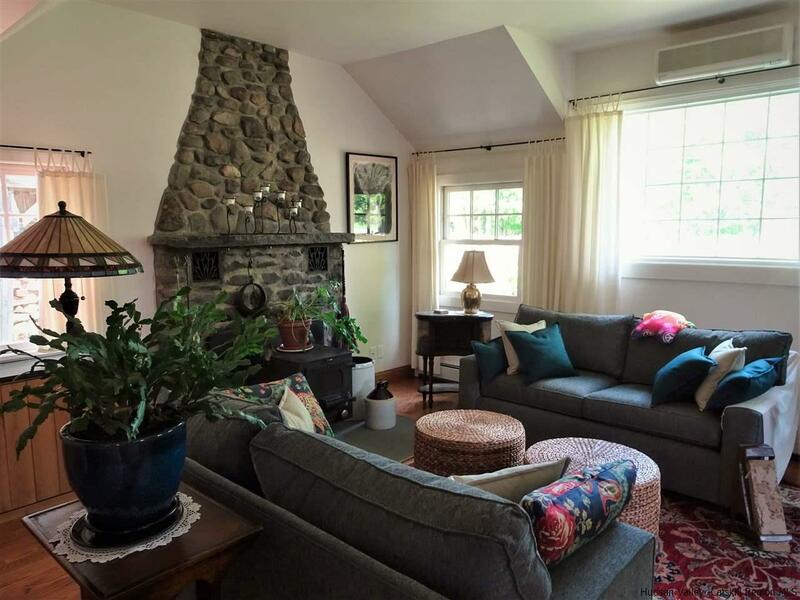 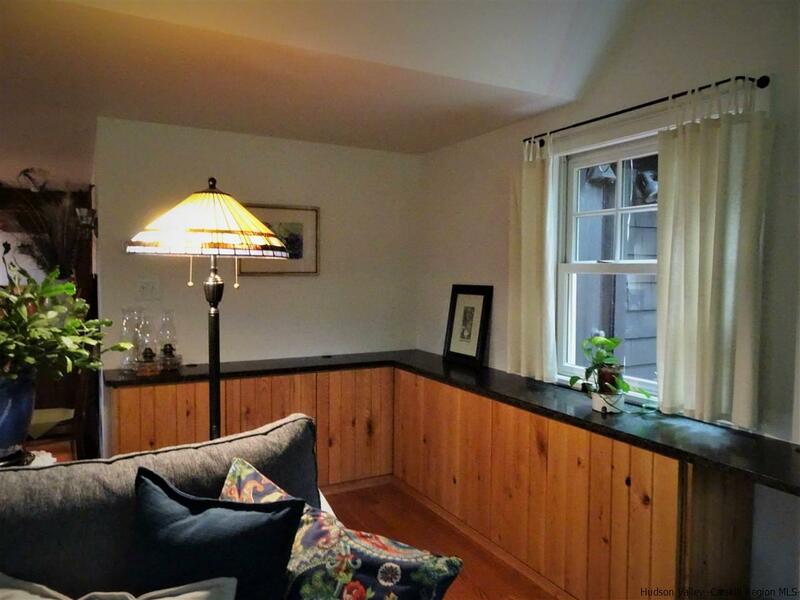 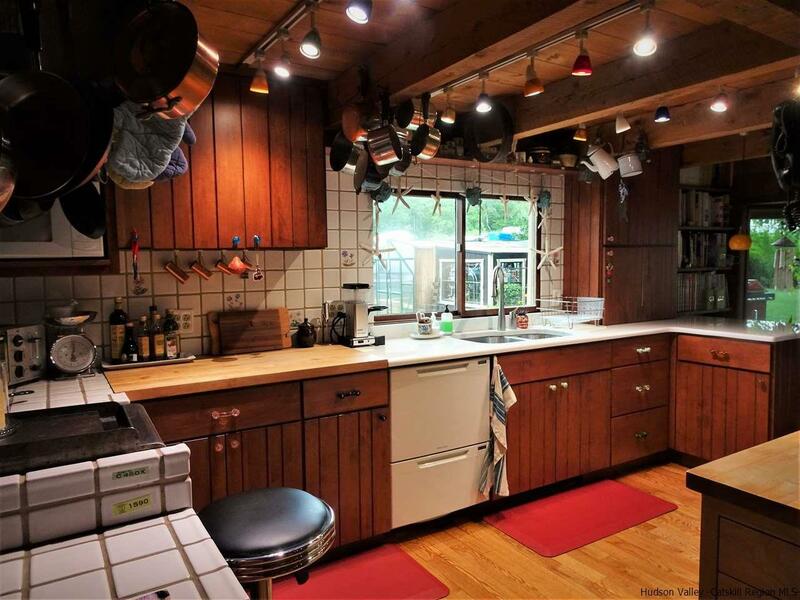 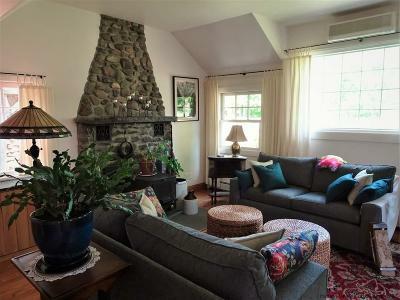 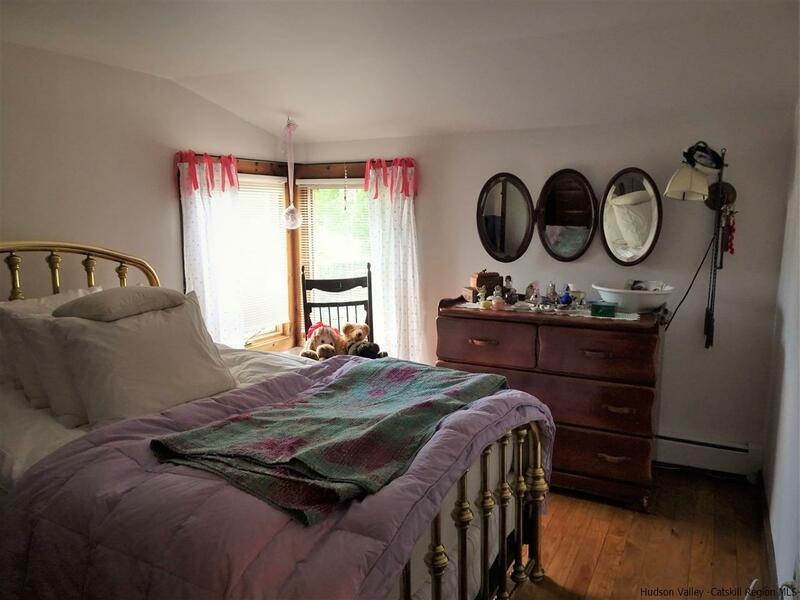 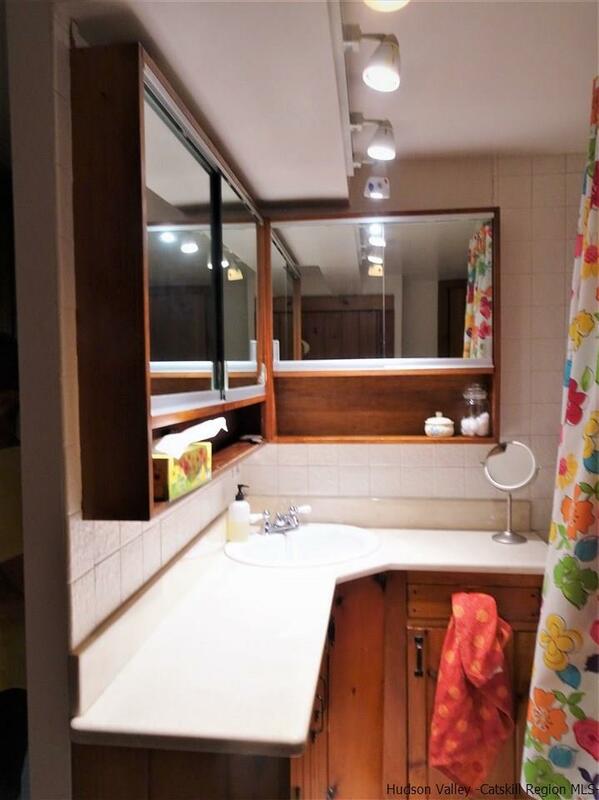 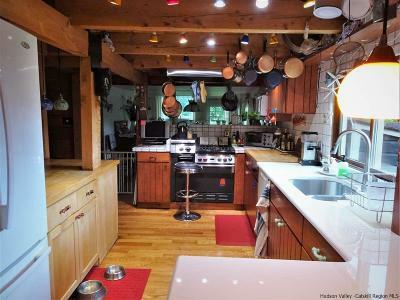 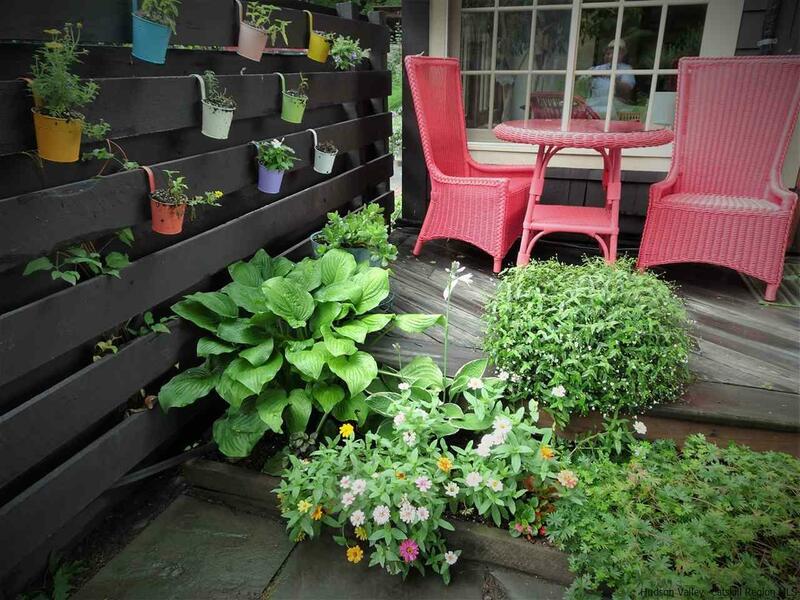 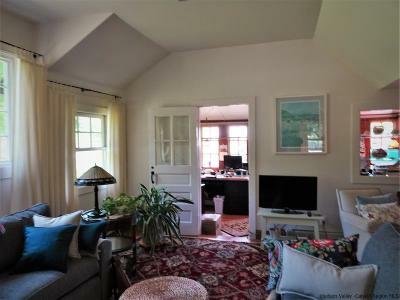 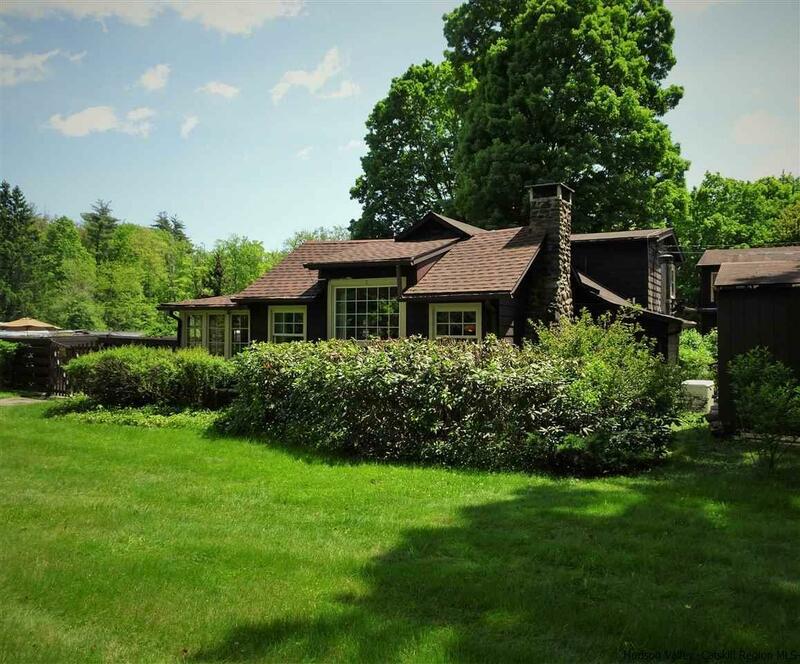 Within walking distance to the Bearsville Theater complex and the Little Bear restaurant. Come to the "Colony of the Arts" for all the spectacular music venues, the Playhouse, Byrd on a Cliff Theater as well as the fantastic restaurants and shopping. 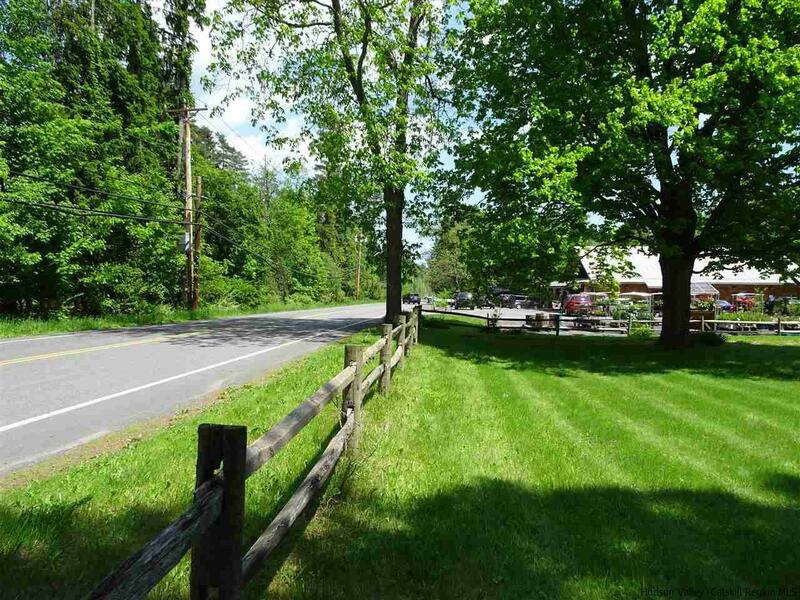 Take in all of the wonderful mountain views, swimming holes and the forever wild hay fields by "Little Deep". 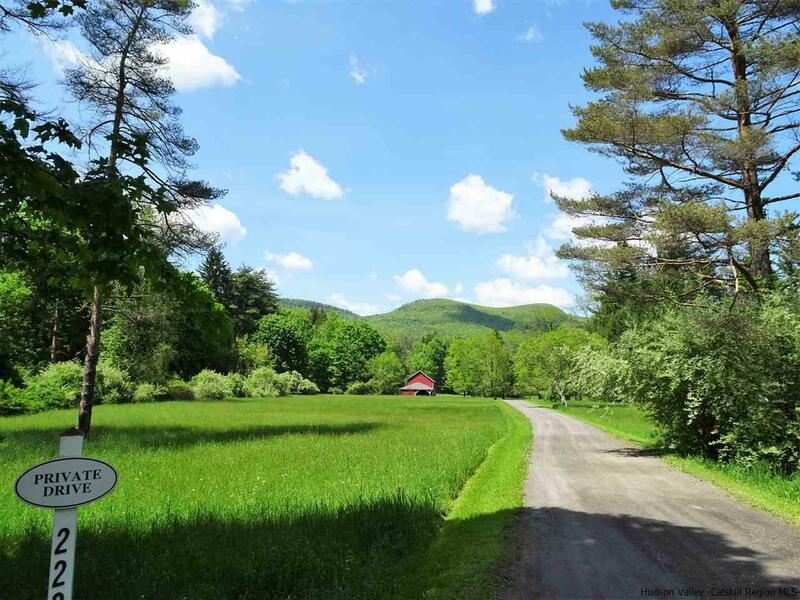 Hike up to the restored Overlook Fire Tower near the monastery with the Trail Guide, "Dave". 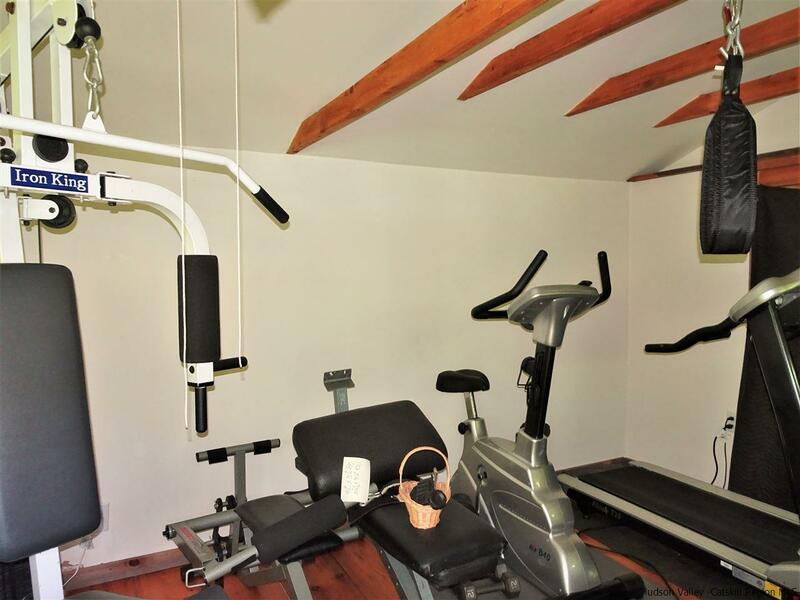 The Bellayre, Windham and Hunter Ski Centers are only about a short drive away. 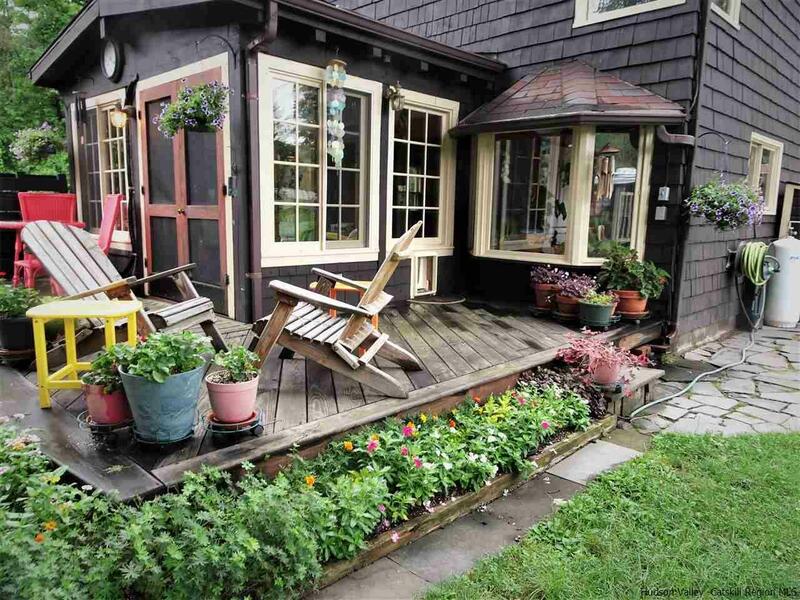 Summer and fall festivals are plentiful in the Hudson Valley. 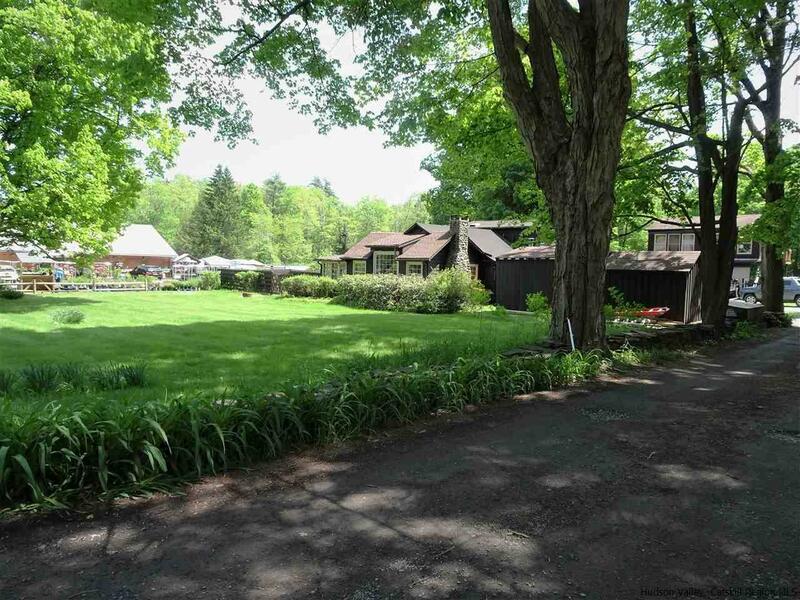 The now famous Phoenicia International Voice Festival is just up Route 28. 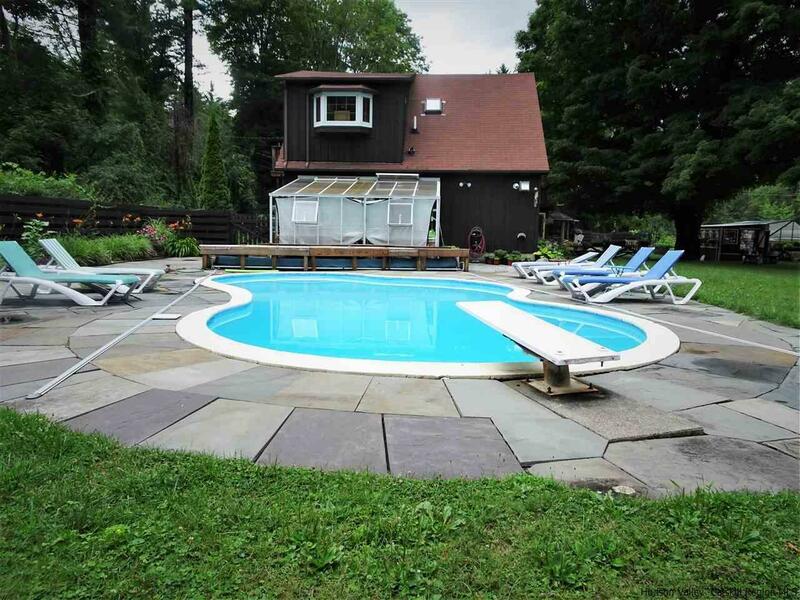 Numerous quality private schools are located within 15 minute drive.